You're keenly aware that you only have today to finalise your draft for SCP-3939. To be fair, it’s almost done. But, now that you know that it’s sentient, you're going to need to acknowledge this in the final document. What better way to clear up all of your problems at the same time by asking it all the things that you don't know? You need to know its date of acquisition, details about that day, how long it’s been here, what other secret anomalous effects it might have, if it has any special requirements for containment procedures… the list goes on and on. But without those questions answered, whatever work you submit won’t be good enough. And if it’s not good enough, you won't get your Class 4 back. You get out of bed, get your clothes on and get into your car. You skip all the unnecessary bits like breakfast. Traffic is oddly light, and it does nothing to slow your steely determination to get this project finished. You immediately make your way down towards the holding cell. As you approach your office, walking as fast as is possible without making a complete fool of yourself, Sally tries to get your attention. "Dr. ████████!" she calls. You whirl around to reciprocate. "Dr. Hawthorne! I'm so sorry, in my rush to get things done I'd forgotten about our little deal." "No problem. 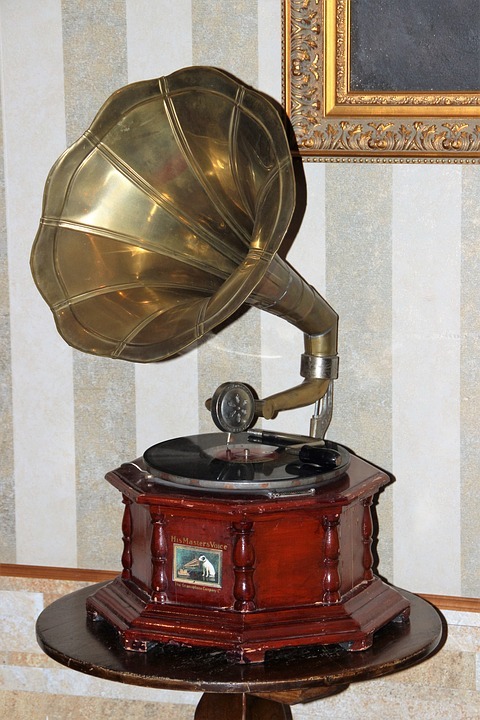 Come on, show me how a gramophone speaks." The two of you head down towards pre-containment. You whip out your security card a full thirty seconds before you need it. As soon as you arrive at the door of 39-PC01-C, you practically slam your card onto the scanner. Too hard. You made contact at the wrong angle. The flexible plastic bends and recoils, sending the card flying out of your hand and clattering onto the floor. You get down on your knees to pick it up. Sally fails to stifle a laugh. You try the scanner again, more gently. It works. With a beep and a click the door slides open. The brass horn already pointed directly towards the door. You don't doubt that it’s been pointing that way all night. You step inside and slide the door shut behind the two of you. It takes you a moment to catch your breath before you speak.